Beach Cottage (No.1) is a delightful, bright, cosy, 2-storey private beach house near the beach. First class furnishings throughout. The best private beach house accommodation in Torquay! Tiger Moth World specialising in vintage, bi-plane (Tiger Moth) flights, aerobatic flights, skydiving, 12 Apostles Air Adventures and also Torquay Mini Golf for the whole family. Home to world famous surf shops - Ripcurl & Quiksilver and SurfWorld Museum. Torquay is also at the start of the Great Ocean Road - the spectacular must do drive! Beach Cottage is located only a short stroll to one of the many beautiful beaches in Torquay. Torquay is unique in that it has endless beaches to explore. The beaches along The Esplanade (Whites Beach, Fisherman's Beach, the front beach and cosy corner) are more protected and perfect for swimming, walking or just relaxing. But if you prefer something a bit more exciting/surfing, the Torquay back beach is only 2km away. Just out of Torquay, you'll find the world famous Bells Beach for serious surfers. Torquay is the start of the Great Ocean Road - a magnificent coastline. Beach Cottage is close to the beach, yet it is very private. Located on its own private property, surrounded by gardens and trees. It has a lovely, bright sunny aspect with views over the surrounding gardens. Beach Cottages Torquay complex is located only a short stroll to the Torquay foreshore reserve and beautiful beaches. Torquay is located at the start of the Great Ocean Road. Endless beaches, walking and cycling tracks. Only a short stroll to beautiful Whites Beach. 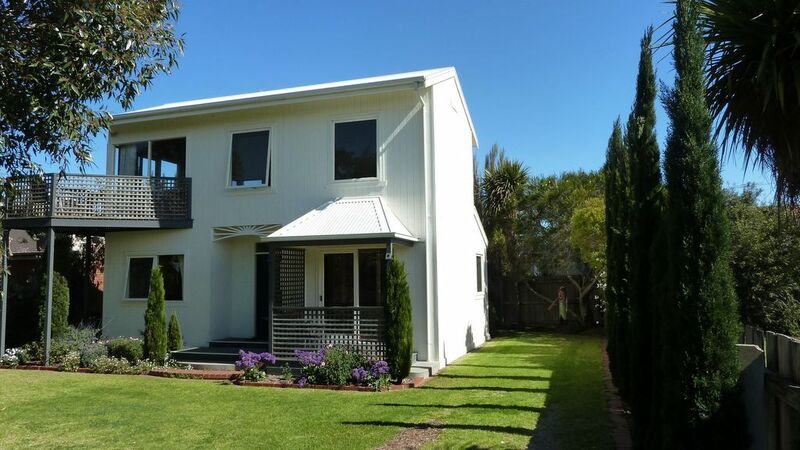 10-15 minute walk to Torquay shopping precinct or 2 min drive.